Shed Kits for backyard storage in Canada. Built for strength and durability, designed to meet your diverse needs, manufactured using only the very best materials. Compact storage for lawn and garden equipment. Premium powdercoated steel frame, fabric shelters for your storage needs – ATV's, lawn and garden equipment, small tractors, patio furniture, pool supplies, tools, bulk storage - all at an affordable price. Premium powdercoated steel-framed fabric shelters. 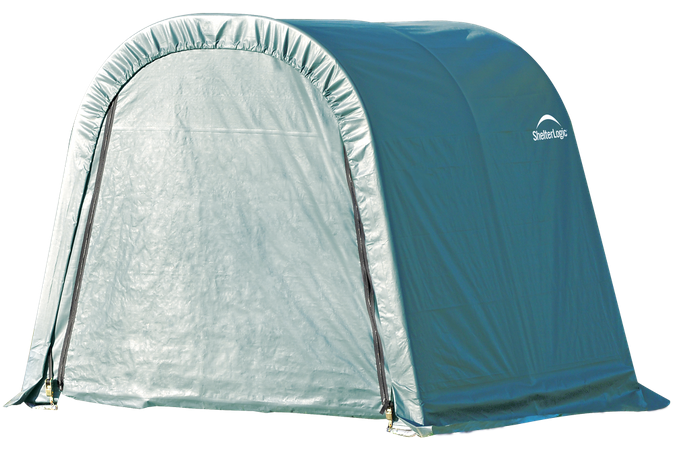 Choose from the largest selection of premium powdercoated steel frame, fabric shelters in the industry for your compact storage solution for ATV's, lawn and garden equipment, small tractors, patio furniture, pool supplies, tools and equipment and bulk storage. For tools, vehicles, equipment and bulk storage. Ideal compact storage solution for ATV's, lawn and garden equipment, small tractors, patio furniture, pool supplies, tools and equipment and bulk storage. The strength of a pipe canopy with the speed of a pop-up. 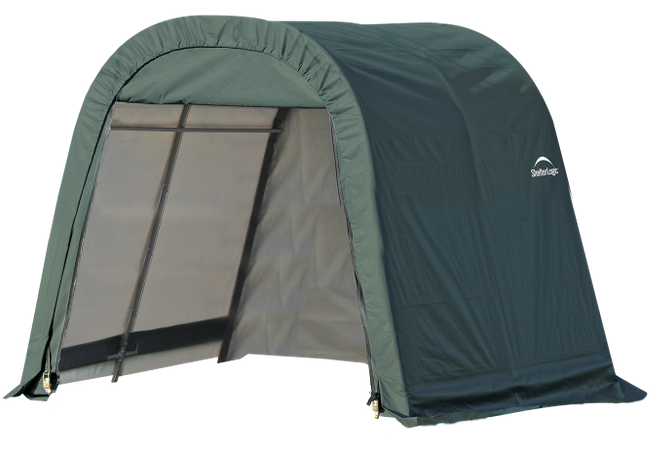 ShelterLogic's AccelaFrame™ Canopy provides 200 sq. ft. of shade and shelter in 15 minutes! An innovative quick assembly system with fewer loose parts and can be erected and disassembled quickly and easily. Start seedlings and extend your growing season. 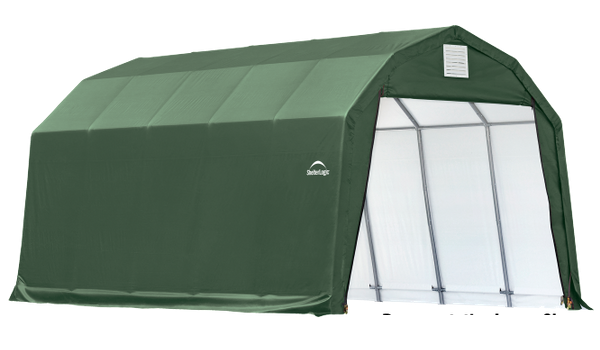 This easy-to-assemble, compact Greenhouse is constructed with high quality steel and features 4 ft. shelving on both sides for built-in staging of plants. Screen vents at both ends provide airflow and temperature control. Creates dry, seasoned wood 2x faster. 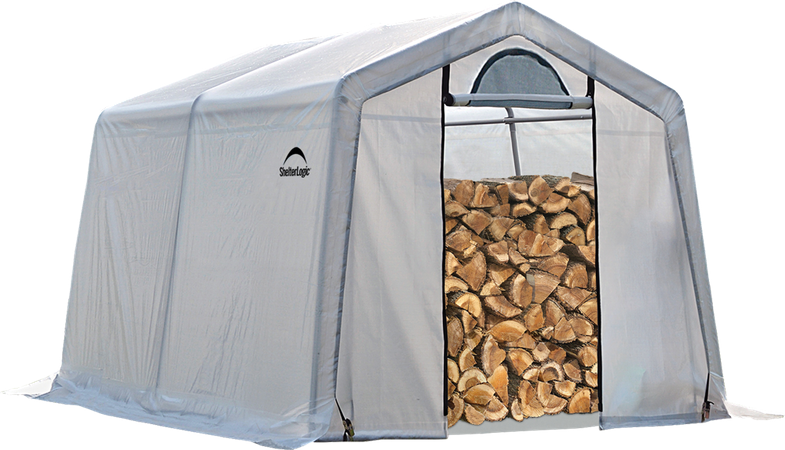 An innovative, patent pending product with a stable frame and a translucent polyethylene fabric cover that allows light in and retains heat, a vapor barrier to keep ground moisture out, and cross ventilation for faster drying. Ready for motorcycles, ATVs, jet skis, trailers, lawn and garden equipment, tractors, snow mobiles, wood or other bulk storage. The round roof shape is excellent at shedding the elements. 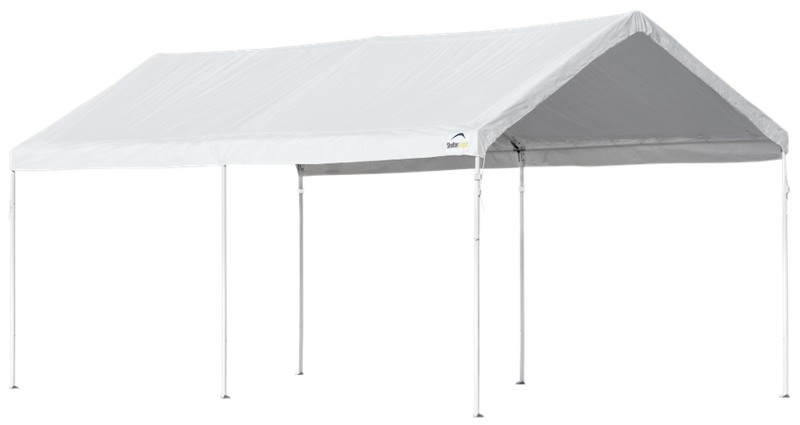 A good quality fabric structure at a affordable price.